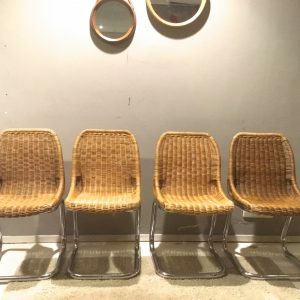 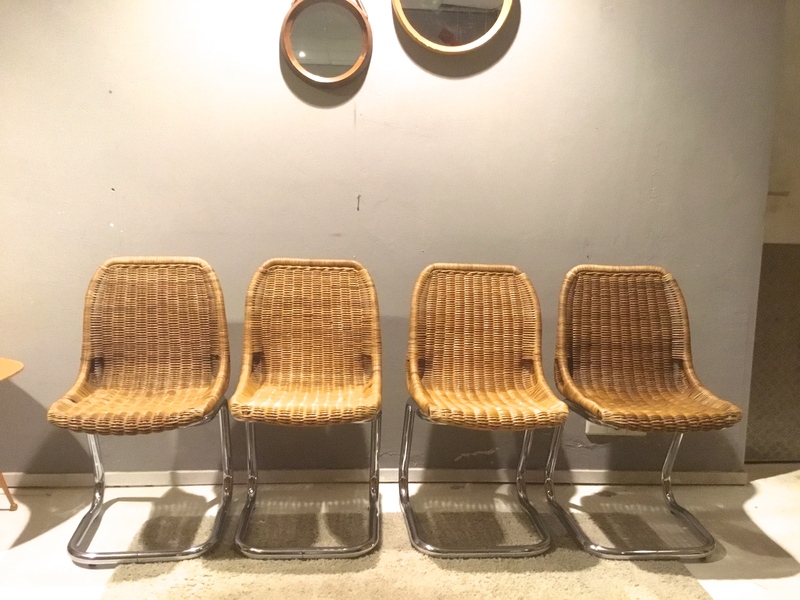 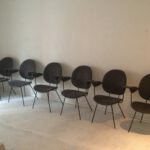 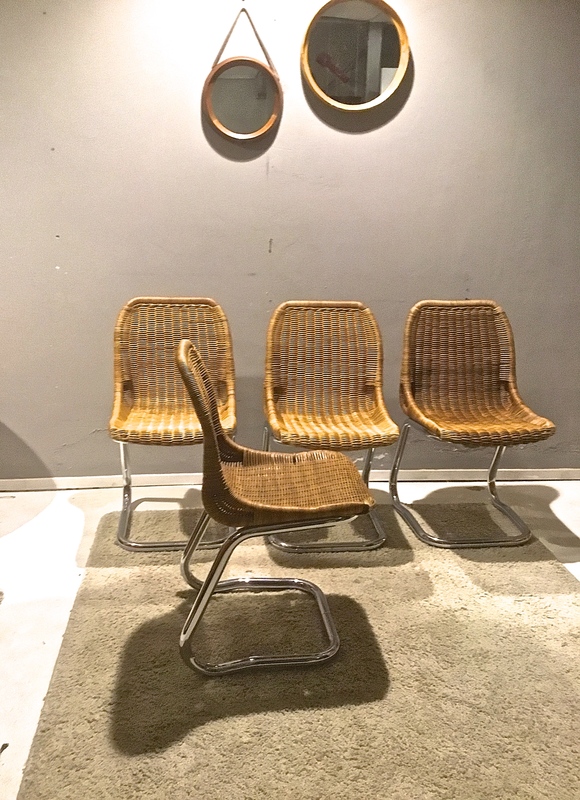 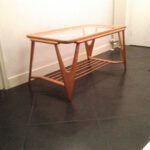 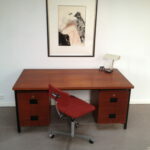 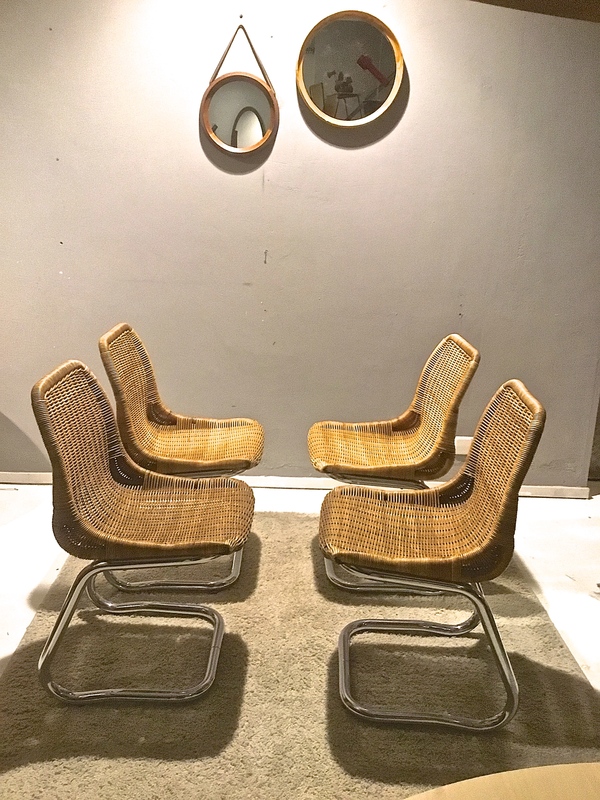 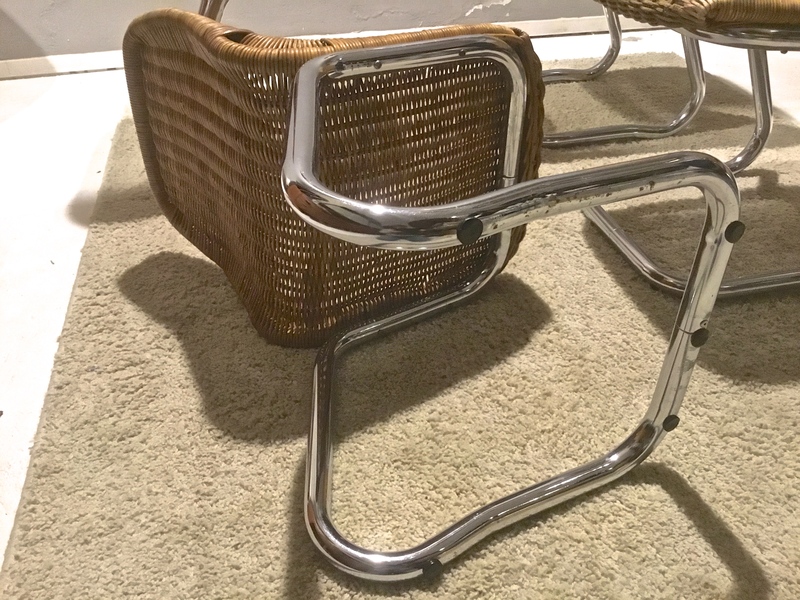 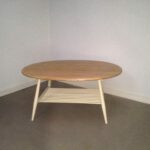 Vintage-Station Shop Furniture Rattan designer chairs by Dirk van Sliedregt. 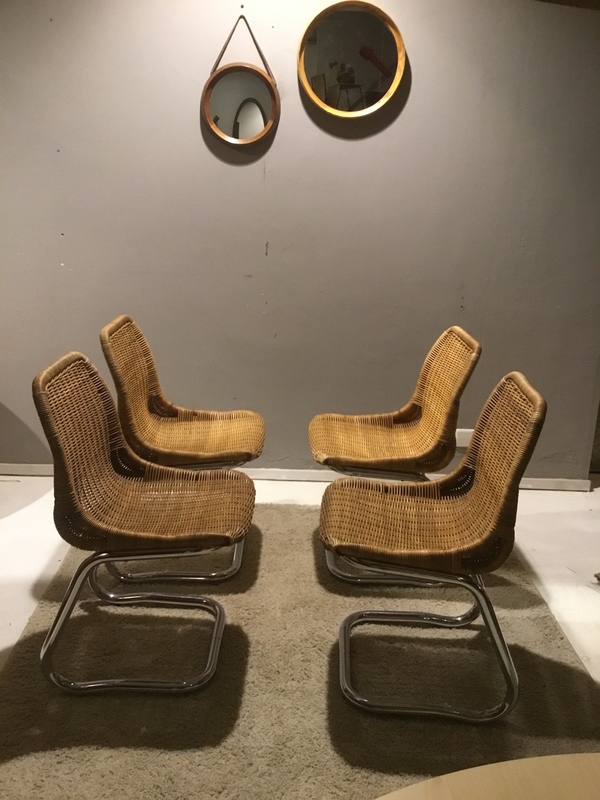 Rattan designer chairs by Dirk van Sliedregt. 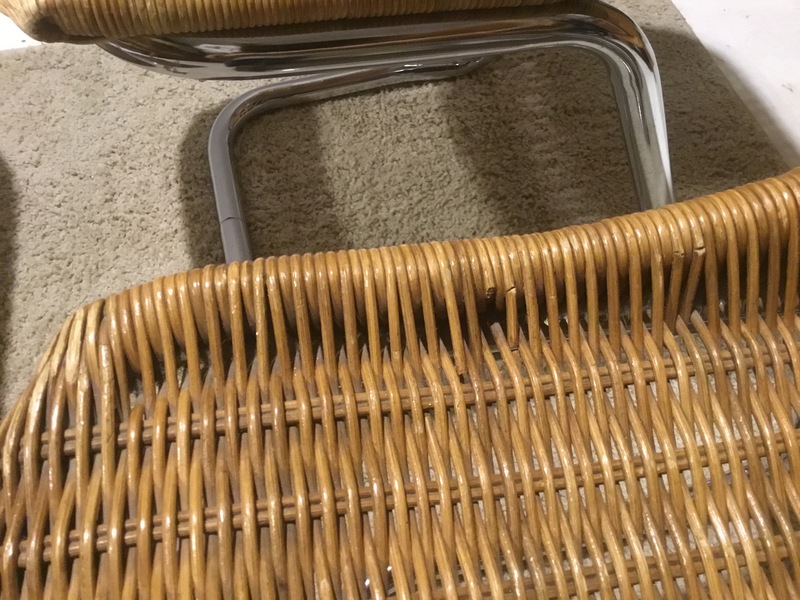 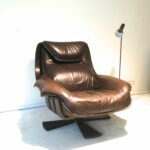 In good vintage used condition -some damage, see picture 1 chair.